Really loving dark cozy spaces lately. Must be all of the rain that we're having. 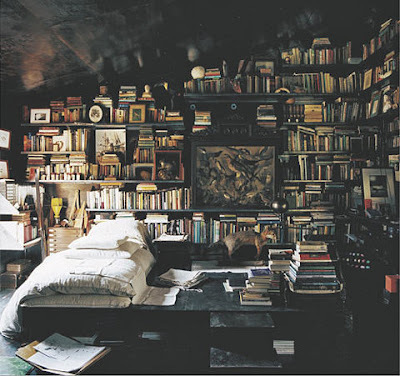 Love these spaces, especially that library room! Enchanting. Fabulous ! I love everything ! These are gorgeous! Especially that second image, it is so fairytale like! I've been checking out your blog and I must say, Love It! I really want to have a house like this when I'm older! 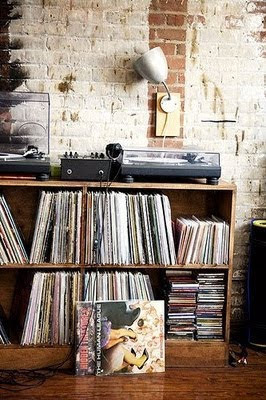 There's just something so appealing about eclectic mix of items and gloomy corners. Your blog is just packed with inspiration, I always enjoy looking at your latest images! 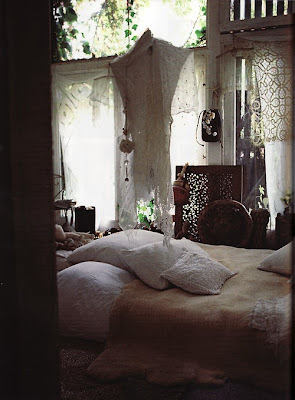 such wonderfully cozy spaces! 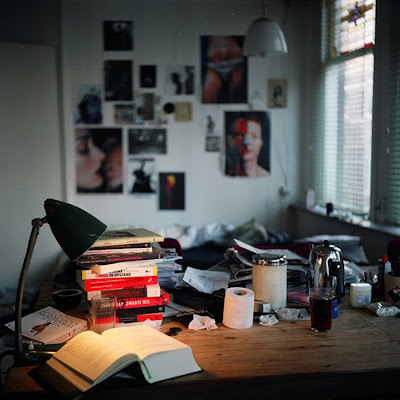 i love the stylish clutter. ahhhh Lauren! 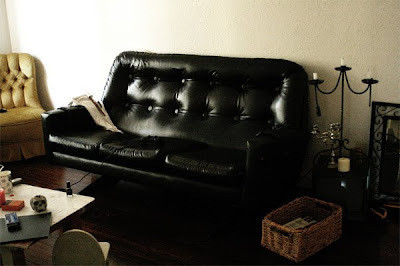 these are beautiful - darkest, coziest places of my dreams! The third and fourth are absolutely delicious. 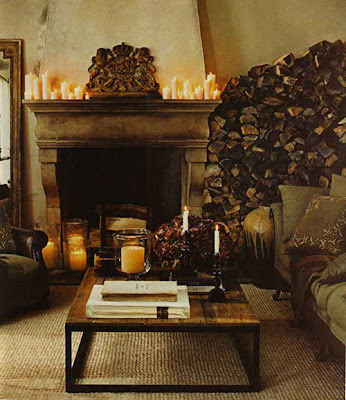 Warm and stylish ambience! Great!